Your gift will mean so much to our students during finals. Thank you for helping them succeed during this trying time! You are awesome!! Final exam week can be one of the most stressful times of the year for college students. The Texas Tech University Library is always seeking ways to help alleviate this stress. We have found that staying open 24-7 during that week helps. 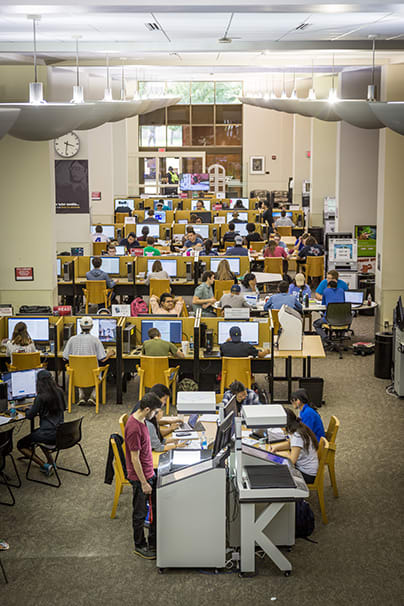 While the Library stays open around the clock during finals, most other buildings on campus close for the night. This makes it hard for the studiers to find food, drink or even a place to take a break. Our students say that leaving the Library for even a little while breaks their concentration and willpower for studying. Once they are here, they want to stay here. According to [Somani, Applegate, Nonis] their interviews showed that having food/drink close by was mentioned by 100% of users or their library because it leads to efficient study time. A student stated, “If my study space is close to food I can grab a snack quickly and I can get more done”. Convenience allows users to not waste time going places, and instead use that time for productive studying. 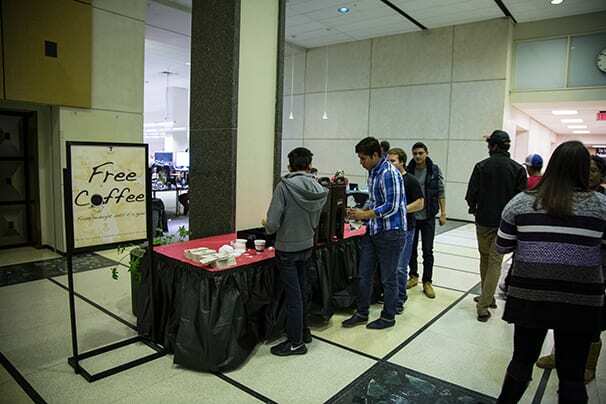 We do not use Library fees paid by students to provide extras during finals week. We rely on what is available from outside donations. 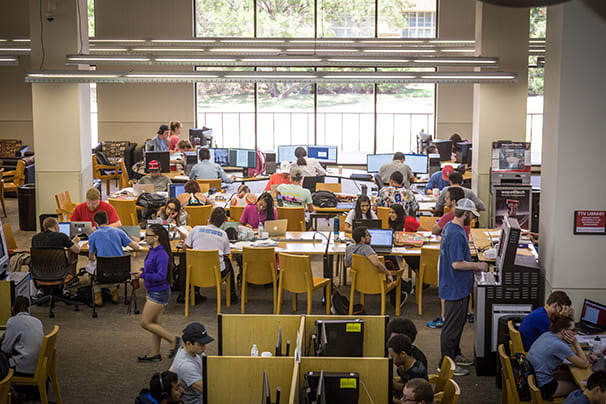 Some key components of the Texas Tech University Libraries’ vision statement states, we “will have the resources necessary to offer uncompromising service and be a key component in the intellectual life of the University”. We can only provide this through collaboration within the Texas Tech University System and partnerships through generous donors such as you.